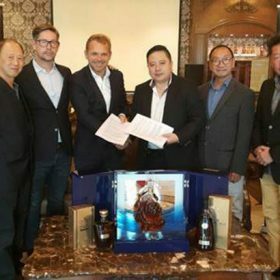 Nordic drinks group Altia has strengthened its position in Asia after signing a distribution deal with AsiaEuro for its Larsen Cognac range. Larsen Cognac will now be distributed in China, Hong Kong, Macau, Singapore, Malaysia and Indonesia following the finalisation of the deal. The deal is expected to take affect in early 2018 and will include spirits from the entire Larsen range, as well as two new Cognacs which will be exclusive to the AsiaEuro portfolio, Larsen VSOP Reserve and Larsen XO Reserve. The Cognac brand was founded by Norwegian adventurer Jens Reidar Larsen and celebrated its 90th anniversary last year.